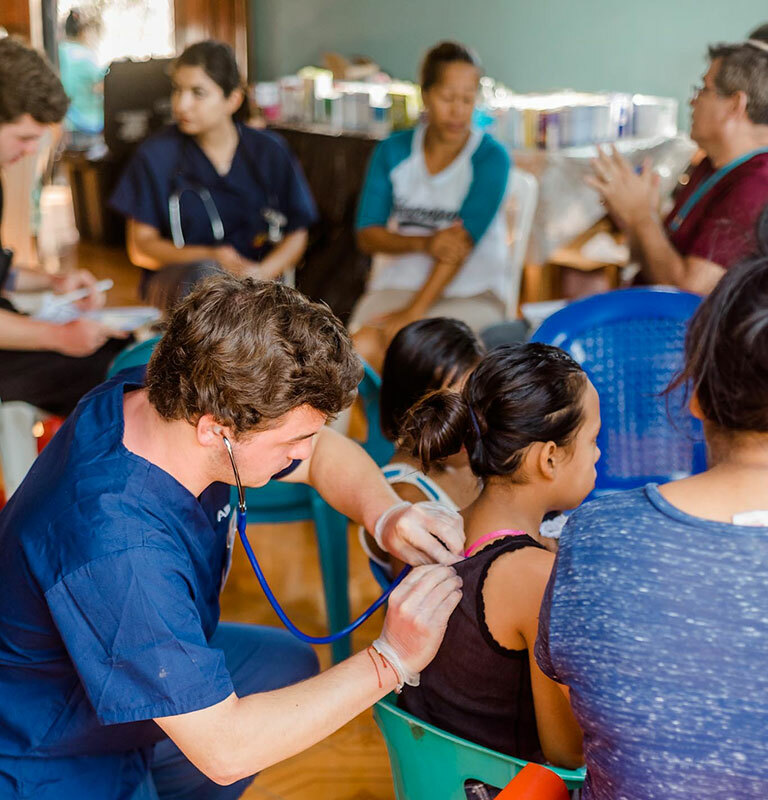 Vida offers medical students a chance to acquire valuable experience and help improve the overall health of underserved communities by supporting outdoor education and mobile clinics that provide free basic care. Students preparing for professional schools in health-related fields and individuals that are interested in pursuing health-related fields. Our goal is to reduce inequalities and increase health literacy in our partner communities. Think you have what it takes to support our goal? Now is the right time for you to step out of your comfort zone and join like-minded individuals to make a difference! This is your chance to leave a mark through an altruistic, Service-Learning trip, while developing critical thinking skills and a life-long commitment to service. Many of our past volunteers are now successful doctors and nurses who continue to make a positive difference. As a Medical Field participant, you will gain clinical and practical experience in the field of Health Promotion and Medicine. Throughout the program you will work under the supervision of local licensed physicians, while providing consultations and recommendations. You will also learn about the different issues that affect our communities on a daily basis. Not fluent in Spanish? Not a problem! 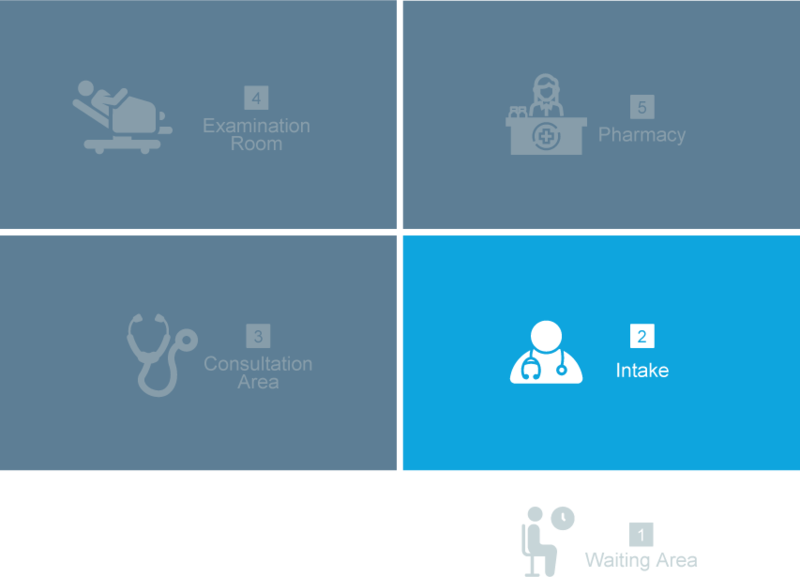 Vida interpreters will also be there to help you communicate with your patients. This is a great opportunity for you to join a supervised hands-on program! This will not only support your academic pursuit but will also help you confirm your career path. Our clinics are held in community centers, churches or schools. We offer general consultation and medications to support rural communities with little to no access to healthcare. Our goal is to improve their health conditions, not only with medications but through education that will help prevent diseases, increase health literacy and reduce detrimental behaviors. Family Visits* enable us to reach the most vulnerable people in our communities. Our team of doctors, health promoters, nurses and interpreters analyze the current living conditions and habits that affect the well-being of our patients. 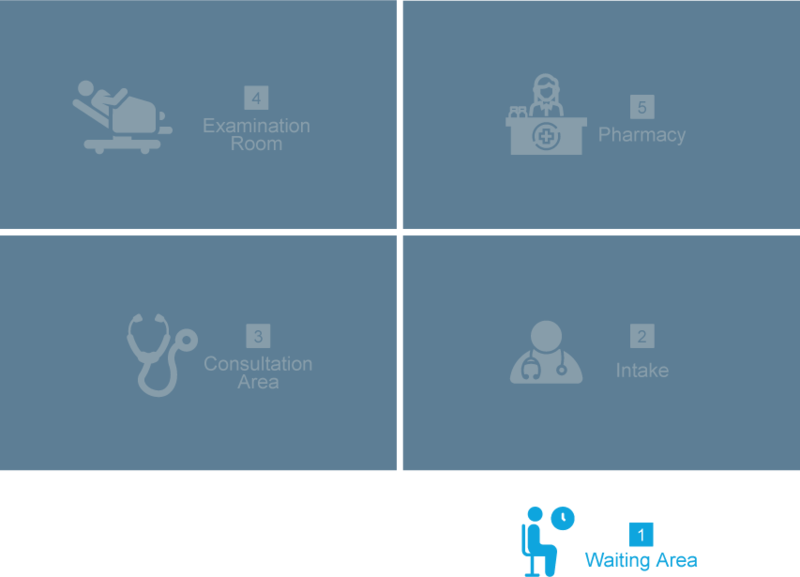 The information gathered is transferred to local health authorities, then it is used to educate our patients and give recommendations to the families. Homestays* promise a whole-hearted and culturally immersive experience. You’ll get a chance to learn about local family values and enjoy delicious, authentic, home-cooked meals​ ​while forming life-long bonds with our world-famous host families. Observe certain procedures as ENT examinations, abdominal examinations and prenatal care (under professional supervision). Develop a better bedside manner. 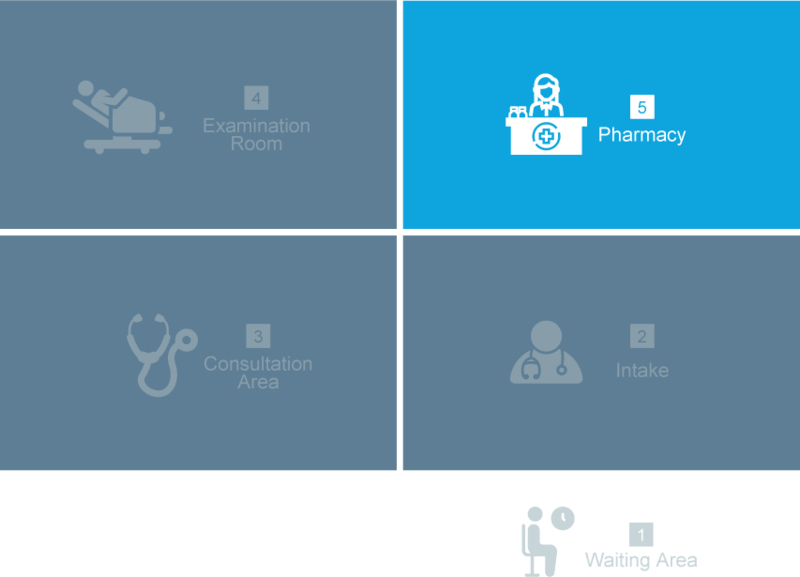 Learn about the challenges faced by Central American Health Departments. 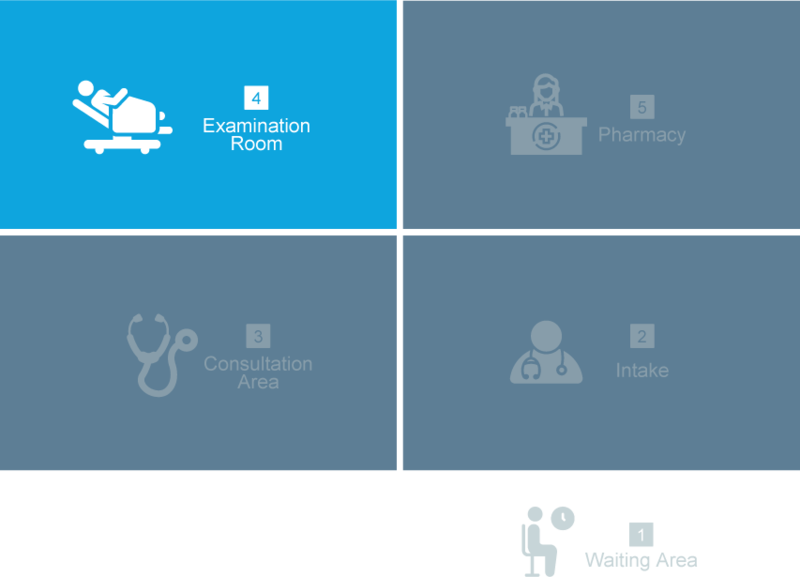 Compare and contrast healthcare systems. Analyze concepts, evaluate experiences, and form opinions. This is where patients await to be seen. Their names are added to the list of patients we will see each day. Lists are usually handled on a first-come, first-serve basis; however, we prioritize seniors, pregnant women and patients with conditions that might require immediate assistance. Students will present this information to the physician, along with a differential diagnosis and proposed treatment plan recommendations. The physician in charge will provide the official diagnosis and treatment plan. This room is used when the physician needs to examine the patient in private. The doctor will explain any findings to the students and the patient. All ground transportation between sites. Accommodations with host families and/or hotels. Most of meals (included specified in the Sample Itinerary tab). All medicine, equipment, supplies, and professionals needed to successfully perform on clinic days. 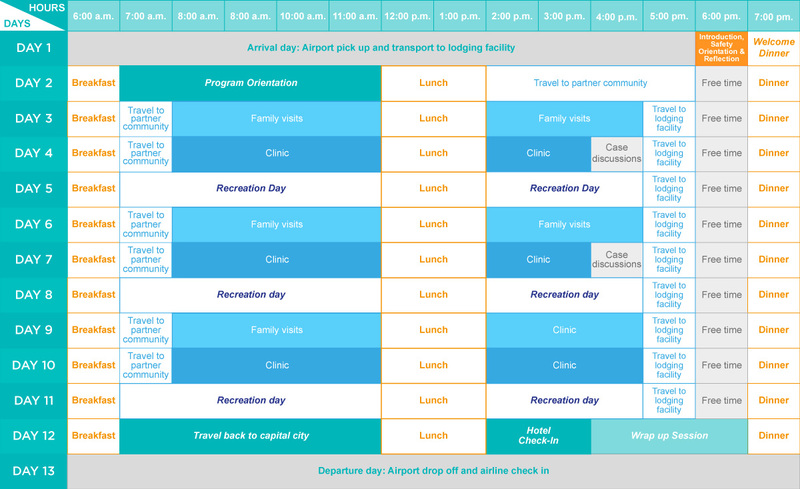 All recreation activities listed in trip itinerary. Statement of service hours and Certificate of Participation. (Letters of recommendation will be assessed on a case-by-case basis). 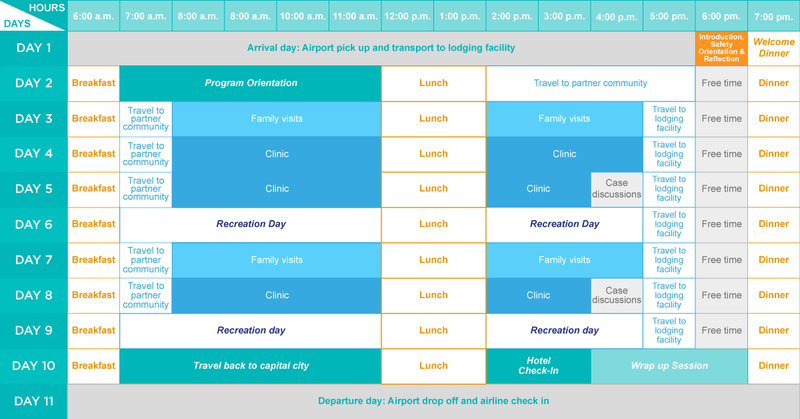 *Order of clinic, family visit and/or recreation days may change depending on country and route. Feel free to contact us! Fill out this form and one of our Student Engagement Representatives will get back to you as soon as possible. Inquiries? Fill out this form so we can answer them properly!